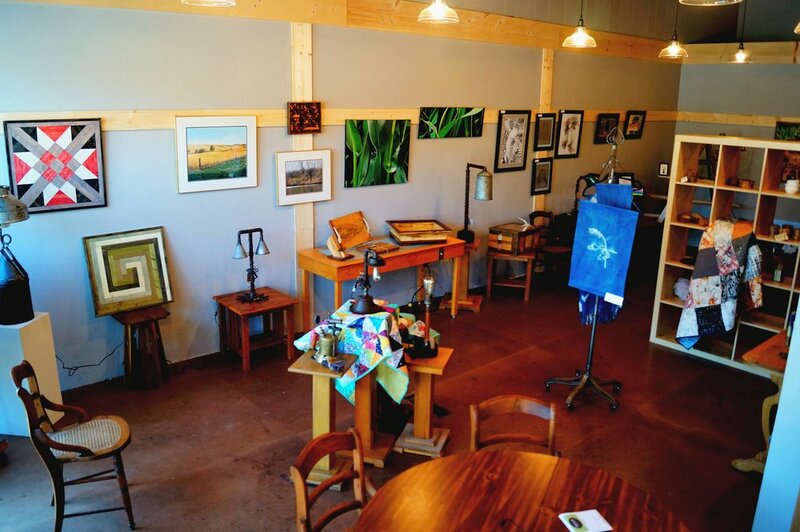 The Grinnell Area Arts Council is a non-profit organization serving the community of Grinnell, Iowa. Our organization was founded in 1979 with the mission to enrich the community by supporting creative expression. To fulfill this mission, we offer a diverse portfolio of arts programming to community members of all ages and backgrounds. The Arts Academy provides quality after-school, evening, and weekend arts-related classes and workshops for students and adults year-round. Academy programming creates a student-centered environment in which individual activities and group projects foster creative exploration through the arts, with emphasis placed on the creative process and experimentation. 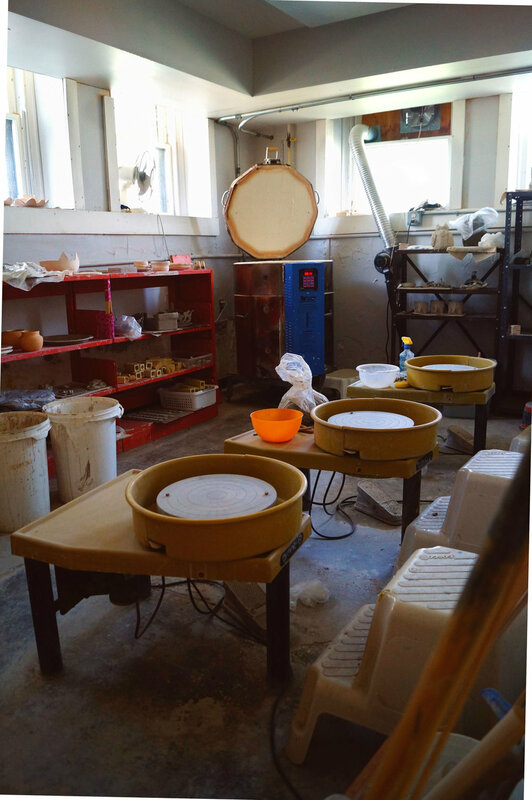 Courses are directed by professional educators or local artists with teaching experience and are assisted by Grinnell College students and community volunteers. Visit our CLASSES page to sign up for current offerings. Please CONTACT US if you are interested in teaching a class. Click HERE to check out our blog full of past projects! Sign up on our CLASSES page! Scholarships available, CONTACT US for more information. 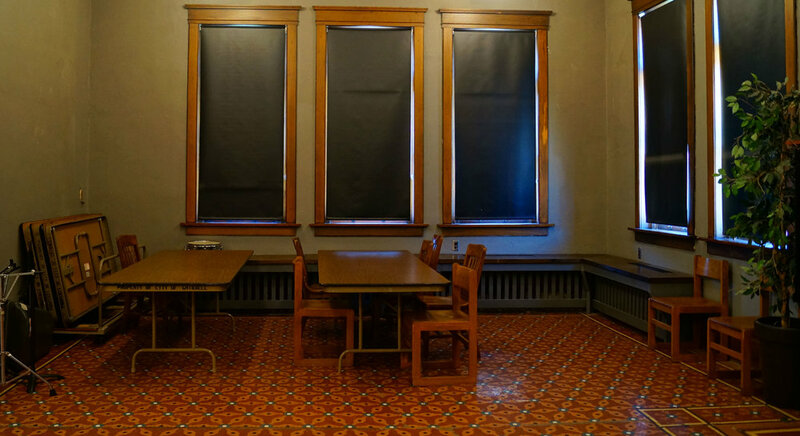 Class supplies and materials have been funded in part by the generous sponsorship of the Center for Humanities and the Office of Community Enhancement and Engagement at Grinnell College. 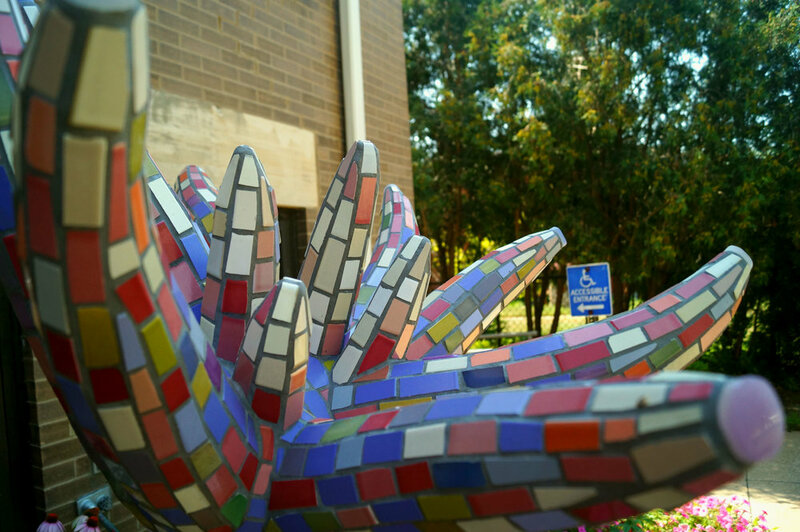 Formerly housed in the Community Center as the Mayor's Art Gallery, the Stewart Gallery has been a core component of the visual arts in Grinnell for over a quarter of a century. The gallery hosts a new show about once a month, featuring the work of local and regional artists as well as students from the community schools and our own Studio 6 program. Stew Art Studios, or "The Stew", is a program and facility created and supported by and for the creative community. Located at 927 Broad Street, the downtown storefront is right across the street from the Arts Center (the old Stewart Library, namesake of the Stew). 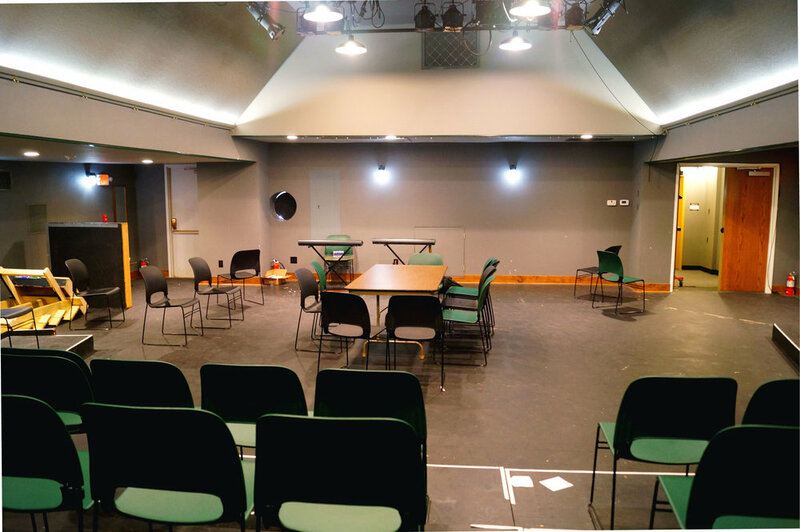 The Stew hosts community work studios, educational workshops, performances, and more. Check out our EVENTS and CLASSES page to see what's happening at The Stew this season! This summer concert series began in 2002 as a collaboration among the Arts Council, Chamber of Commerce and City Tourism. Between May and August we host a variety of local and touring performers, typically scheduled on Thursday evenings at Central Park, in conjunction with the Farmer's Market. The Arts Council arranges the schedule, recruits sponsors, books musicians, promotes the event, and supervises each performance. Work on the concert series typically begins in January. Local support helps underwrite the performance fees of the musicians. Past performers include Grinnell's own Too Many String Band and Turlach Ur, polka favorites Barefoot Becky and the Ivanhoe Dutchmen, and Iowa legends Bob Dorr and the Blue Band. If you are a performer and would like to be considered for the coming year, or your business would be interested in sponsoring one or more evenings of the concert series, please contact us. 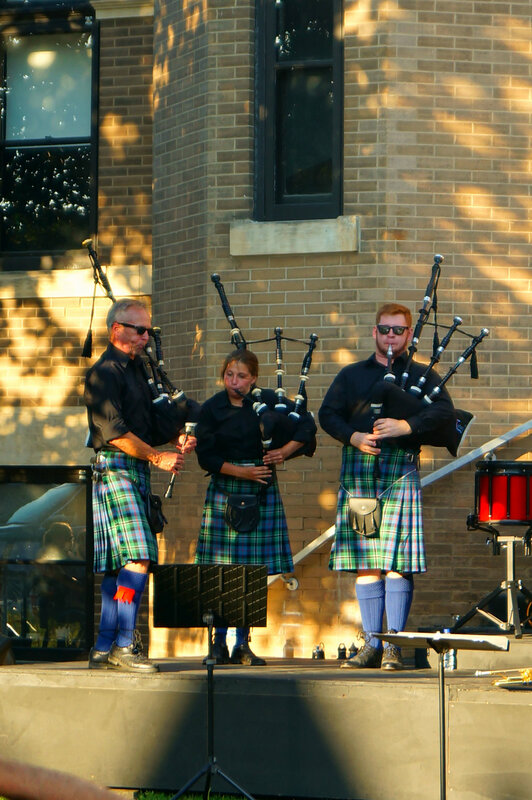 Not every community arts organization in the Midwest can boast of supporting a Scottish bagpipe band, but this is Grinnell! Founded in 2007 and affiliated with the Arts Council since 2010, the Turlach Ur now boasts a roster of 25 pipers and drummers. More than half of the band members are junior players, ranging in age from 10 to 17. Together, the junior players comprise Turlach Ur's increasingly popular youth band, the Turlach Urchins. Turlach Ur is both a competition and concert band. 2015 brought numerous first place finishes at Highland Games throughout the Midwest, including in the Grade 5 single event and aggregate Midwest championships. The band was promoted to Grade 4 at the end of 2015. Turlach Ur performs concerts regularly both in Grinnell and beyond. The band is recognized widely for its unusually fun and innovative shows. Turlach Ur holds weekly practices and monthly group lessons at which all levels come together for instruction in small groups (and lunch in a big group!). Contact Rob Clower, the band's Pipe Major, or visit their website to learn more about the group. The historic Stewart Library, located at 926 Broad Street, is home to the Grinnell Area Arts Council. 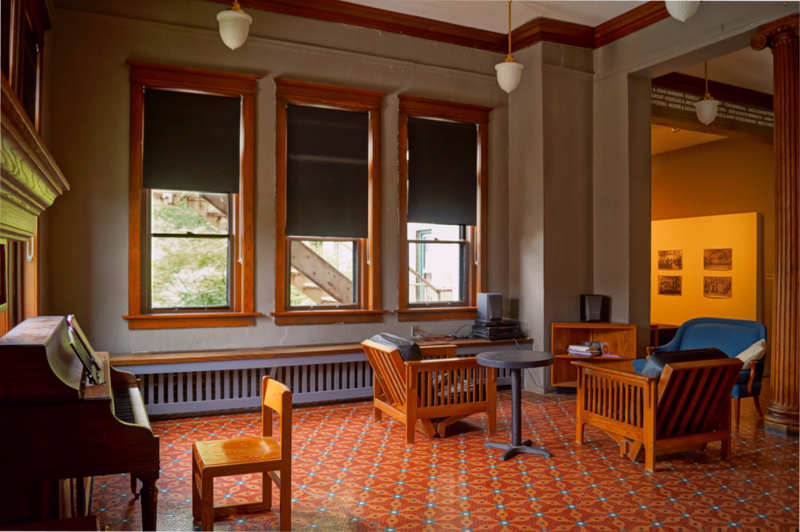 Housed within are the Stewart Gallery, Founder's Lounge, the Loft Theatre, ceramics studio, education rooms, and our administrative offices. 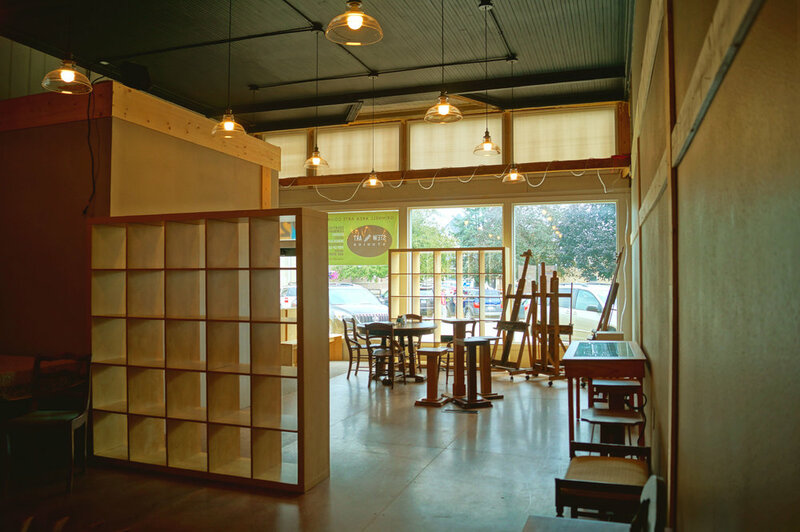 Our second building, Stew Art Studios, is located at 927 Broad Street (just across the street from the Stewart Library). Currently, The Stew contains two large studio spaces with high ceilings and natural light, along with a few private storage rooms. Click here for more information about The Stew. We are always in need of volunteers. Whether you can help out once a year, or once a week, we appreciate your help! 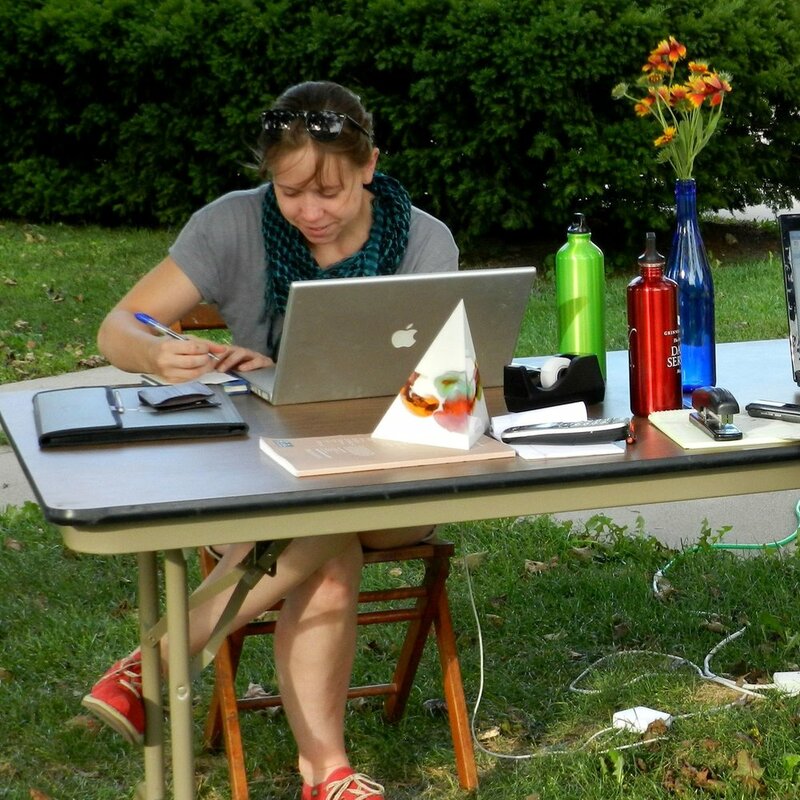 Regular volunteer needs include theatre ushers, gallery docents Saturday mornings, and other special events (such as Raku workshop or Music in the Park). Do you have a creative skill or talent you would like to teach? We'd love to hear more about it! Past classes include drawing, ceramics, creative writing, and theatre. Take a look at our current offerings for specific ideas. Our education program typically runs in three seasons: winter / spring, summer, and fall. CONTACT US today if you are interested in teaching a class. In concordance with our mission to support a creative community, we periodically hold pop-up retail markets featuring the work of local artists. Typically held at The Stew, our markets include a wide variety of items such as lamps, knitted & crocheted works, paintings, woodwork, pottery, and more! Email our market coordinator to sell your work.